Less than a week remains before the fight community experiences what is considered the biggest fight of this generation. 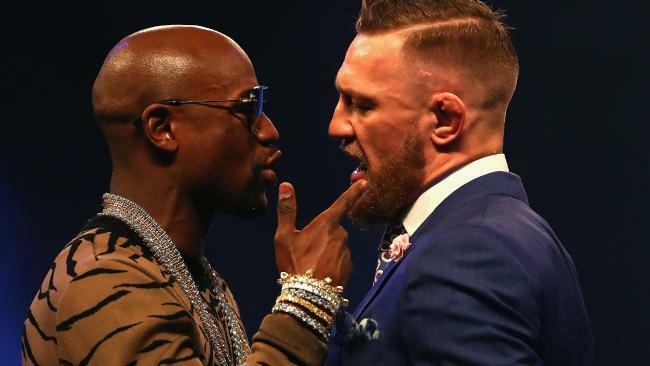 Floyd Mayweather and Conor McGregor will step into the boxing ring for a bout that many are billing as “boxing against mixed martial arts.” While that perspective isn't shared by everyone, it’s hard to ignore the amount of attention and media that have converged on this event. The next week is going to be a spectacle. As if the world tour wasn’t enough, every day there seems to be another cringeworthy trainwreck of a moment occurring in the lead up to this match. 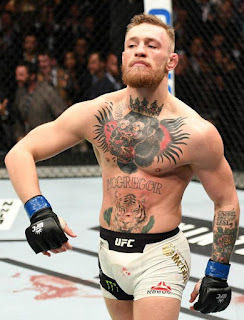 Just last weekend, #MalignaggiGate provided another chapter, as the UFC released edited versions of the sparring session between the former welterweight champion and McGregor. That situation deserves a piece of its own, but it’s just an example of how absurd the lead up to this fight has become. As these last hours tick by, fans and media alike should brace themselves for anything else that might happen. Expect this week to be full of “hot takes” from around the sport and outlandish comments made by both fighter's camps. Everyone is going to give their “expert” advice on the upcoming fight, from names like Jayson Whitlock and Skip Bayless to Ariel Helwani and Marc Raimondi. For many, this type of media coverage is captivating enough to hold their attention, and the lead up for Mayweather vs. McGregor is only going to have more of it in the days to come. From the moment that this fight was announced it was clear that fans would line up behind their favorite competitor. The back and forth between both sides has been amazing and scary to watch at the same time. In some ways, it’s quite comparable to the debate surrounding a certain election that occurred last November. The vitriol exchanged between fans of boxing and MMA or fans of Mayweather and McGregor is yet another sad part aspect of this contest, but it’s also going to be a driving factor in the overall financial success of this event come August 26th. Sports moments are made when the biggest accomplishments occur with the biggest crowd of people watching. Mayweather vs. McGregor is on pace to be the most successful combat sports event for this generation. Regardless of what occurs on August 27th and beyond, the days leading up to the bout are sure to be filled with moments that will leave fans perplexed, angry, and sometimes disgusted all at the same time. This is the side of promotion that the mixed martial arts space might not have been prepared for, but now finds itself mired in. The madness is far from over.